We're Going Back…to a Galaxy Long Ago and Far, Far Away courtesy of this mash up tee from London label Chunk. 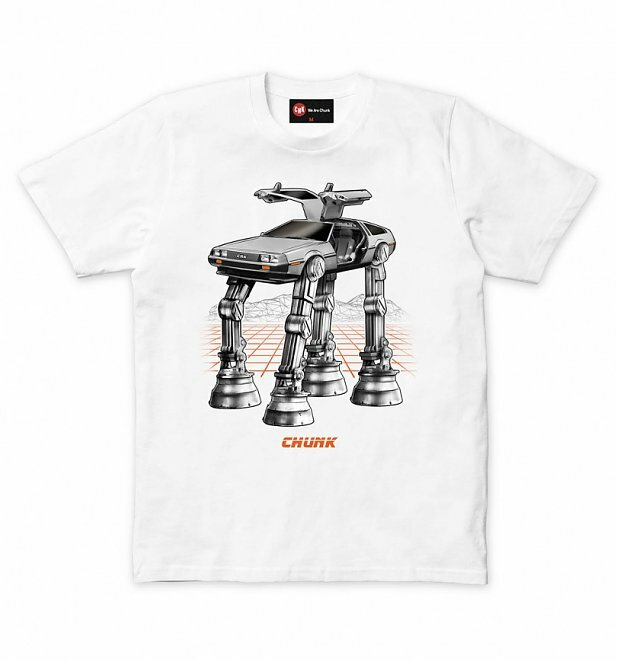 A TruffleShuffle exclusive, the worlds of Star Wars and Back to the Future collide on this awesome design packed full of retro vibes. The classic DeLorean takes a leap into the future. Because who needs wheels when you can have legs? Review: Fast delivery, great items. I love this shop - the only problem I have is limiting myself! I bought items for my brother's bday, he likes comic books and quirky t-shirts so this site is ideal - I also ordered myself a rainbow brite t-shirt. I also just put an order in... via my other half.. for the cookie monster dressing gown for my birthday! Very excited!